The Green “New” Deal that is being pushed by Democrats in the USA is nothing new. The term “Global Green New Deal” was coined by the United Nations a decade ago in 2009 when they released a report called the “Global Green New Deal“. In fact it’s origins some say can be traced back to President FDR when he proposed his “New Deal” in 1933 and taking some of those economic reform ideas combined with environmental ones that make this New Deal a “Green” one. However that narrative is simply a smokescreen in order to make the person that the “Green New Deal” or (GND) is being proposed to think that the origins of this idea have “American” roots directly from a former American President aka FDR. If you are the kind of person that likes to see for yourself and do a little research for yourself instead of having talking heads on a TV screen and news media outlets tell you what to think and why to think that way then you can find out the real truth about the “Green New Deal”. Contrary to popular belief and also contrary to what the main stream media tells you. A 20 something Latina congresswoman didn’t come up with these ideas. These ideas were introduced into the world by globalists on an entirely higher level than any “elected” official. These commands come straight from the old wealthy men and families that run the federal reserves of most of the countries of the word and also the very same people that dictate the policies of the United Nations. Basically a lot of the same people that you would find at the Bilderberg conventions. You see back in 1992 in Rio de Janerio, Brazil using the cover “United Nations / Sustainable Development – Conference on Environment & Development” they came up with this little document that outlines a Global Green Initiative agenda called Agenda 21. If you read into this document you can see that it goes beyond simply “helping the environment” and it takes environmentalism to “extremes” thereby making everyone who isn’t in the top 1% or 2% of all the wealthy people in the world have to give up massive amounts of liberties and freedoms that we have fought so hard for in order to create this country the United States of America. Things like if your house is in a “wooded” or rural area you will no longer be allowed to have houses there and they will all be torn down. Instead the plan in that document is to build massive apartment buildings stacked on top of each other and to crowd as many people as possible into those areas like packed sardines each person having the same small box like amount of space all the same size very “communist” style. Maybe those of a higher middle class could get a slightly bigger sardine box but it’s doubtful. 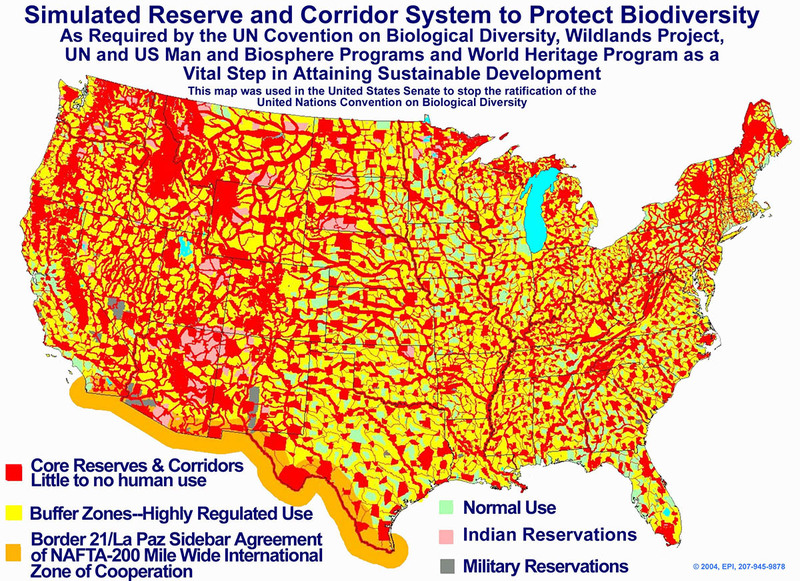 Then all of the rest of the “nature” areas will be owned and controlled by the government and FEMA for environmental reasons of course. Why would a bunch of super rich people most of whom aren’t American want to impose such laws on America? Quite simply for control and ruling authority to make America posses less “liberty” and less “freedom”. Then it’s quite easy to invade or take over America when you can tell American citizens what to do with their liberties and freedoms like that. Essentially eradicating the protections American citizens have under the Constitution and bill of rights. We may have won the American Revolution and created these liberties and freedoms that have enabled so many to become prosperous. But now the spirit of those very same sociopath ego maniac control freaks that enslaved people throughout the middle ages in the form of rulers over peasants have once again come about in the form of heads of industry and now they want “control” over their “serfs” in their eyes who are actually the citizens of the United States of America. So why do they all of a sudden use a fresh faced 20 something Latina to promote this? Think about it they already tried to push it using Bernie Sanders an old Jewish man and Hillary Clinton an old White woman. Most young people and young democrats most of them being lesbians, gays, feminists, white male haters, transsexuals, lgbtq, and illegal immigrants that are Latina and Latino. These kinds of young people don’t want to vote for or listen to an old Jewish man (Bernie Sanders) or an old White woman (Hillary Clinton) however of course they will listen to someone who is close to their age 20 something and shares their identity / race being Latina (Alexandria Ocasio-Cortez). It seems that the Bilderbergers have found their match for identity politics in order to push their global “Green” agenda in order to take away so many of the freedoms that most of the people in the world now enjoy because of advancements in human engineering and technology like flying in airplanes and driving in automobiles to anywhere that they’d like in the world. The new “rulers” of the UN that are always trying to push their policies into American law via people like Bernie Sanders, Hillary Clinton and now Alexandria Ocasio-Cortez don’t want people to live in the woods or in the country or rural areas and off the grid (because they want that land for themselves) and they don’t want people to have the freedom to drive wherever they want or to travel and fly wherever they want. They want to control where you live, where you are able to travel to, when you are able to travel, and how you are able to travel and that’s just 1 step of many. The next steps involve not letting anyone own anything of their own but rather having the Government own it or everyone owning an item together “socialist style”. We already see this with shared bikes and now shared cars, etc. The steps beyond that involve outlawing of all natural supplements so that in order to get well from being force fed GMOs you will have to take a laboratory synthesized patented injection or prescription drug instead of eating healthy and taking supplements to make up for the nutrients we can no longer get in today’s GMO food. There are many more enslaving steps beyond that one. If you think that we will reject this because we are too smart you may be right at first. As you can see we have been rejecting this since 1992 when the idea was created. But most people my age in their 30′s and older understand how un-American this policy is and how it’s a totally socialist scheme to take away our liberties and destroy America. However similar to the way the Nazis used propaganda in WWII over the German people they target the education industry and thereby in doing so they’re directly targeting the youth of this country. Youth are easy to impress ideas upon because their minds are blank slates to be filled with new information. If they have never been taught the principles of what makes America the greatest country in the world and the reason why my ancestors came here as well as many others then they don’t even realize what it is that they are being brainwashed to give up and how special and precious our liberties and freedoms in the USA are. They are effectively being slowly but surely one generation at a time conditioned and propagandized into a form of globalist socialism designed to take away all of our freedoms and sovereignty and make us slaves and cogs in a global New World Order Government. 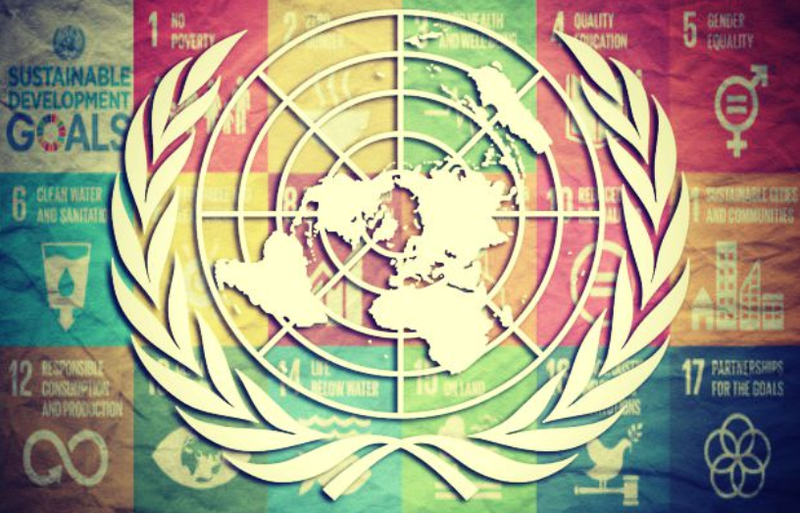 Now the United Nations has revised the original Agenda 21 from Rio in 1992 and it’s now been updated to be called “Transforming Our World – THE 2030 AGENDA FOR SUSTAINABLE DEVELOPMENT”. However let’s not forget the “Global Green New Deal” report by the United Nations Environment Programme. Basically nothing that the Democrats and Latina 20 something are pushing are original ideas of their own of course because how could small minded people like these ever come up with a all encompassing plan as diabolical and far reaching as what is being proposed in the “Green New Deal” / “Agenda 21″ / “Global Green New Deal” & “Transforming Our World – THE 2030 AGENDA FOR SUSTAINABLE DEVELOPMENT”? Answer is they couldn’t because they only care about the size of their egos and will do whatever the Bilderbergers behind the curtains pulling the puppet strings want. The globalist puppet masters make the politicians talk and say whatever they want for money, fame in TV appearances, and campaign contributions, as well as getting elected to public office to satisfy their authoritarian ego lust for power and control over others. If you do some research you’ll see that our elected politicians are largely just a bunch of puppets for these globalist Bilderbergers that get them elected and then work through them to propose their globalist policies as we are seeing with this “Green New Deal” a globalist policy straight from the mouth of the Bilderbergers and then through the filter of the United Nations directly into the mouth of a 20 something Latina congresswoman spitting it out in the form of globalist bile to the American people.